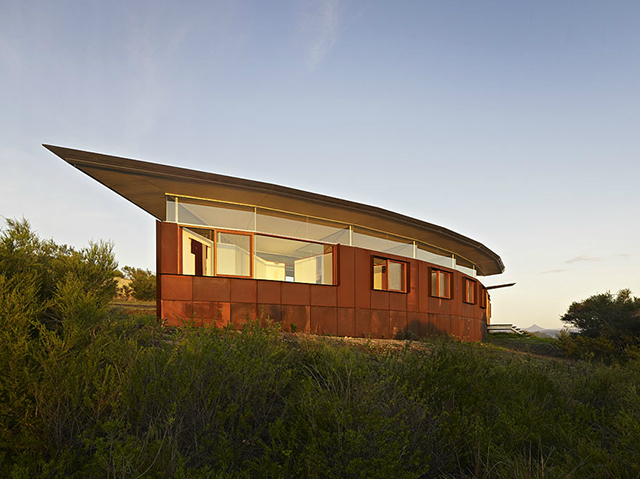 Fergus Scott Architects have designed a stunning open-faced dwelling on a hillside in Australia.The Southern House, which is locally known as the 'Brow of The Hill', has a rusty corten steel exterior with a shape that follows the contour of the hill as it sweeps through 270 degrees of coastal landscape. The home received its moniker name from the brown color of the home mixed with the curved shape. In attempt to maximize the natural light entering the space, the architects built a 9 foot high exterior wall, then slanted the roof at an upward angle, creating a gap between the exterior wall and the roof. The creative team then filled the gap with glass to allow the home to be flooded with sunlight. The architects were meticulously detailed when it came to the layout of the curvacious home. 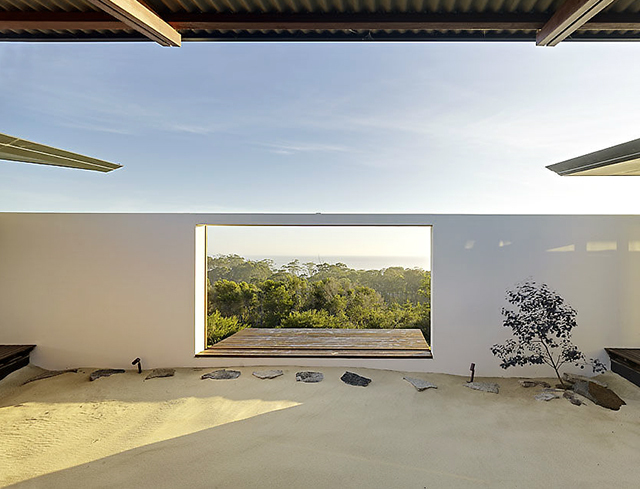 Their smart approach to building the hillside structure created opportunities for some very cool architectural features, for example, an outdoor fireplace overlooking the landscape and the crashing waves below. The fireplace sits on a concrete terrace, the adjacent wall of the home is designed to fully open up, exposing the kitchen and dining area to the fireside terrace - perfect for entertaining on warm balmy nights. Another great feature is the 'sandbox.' The central portion of the home has a large rectangular sandbox that leads to a wood infinity deck. 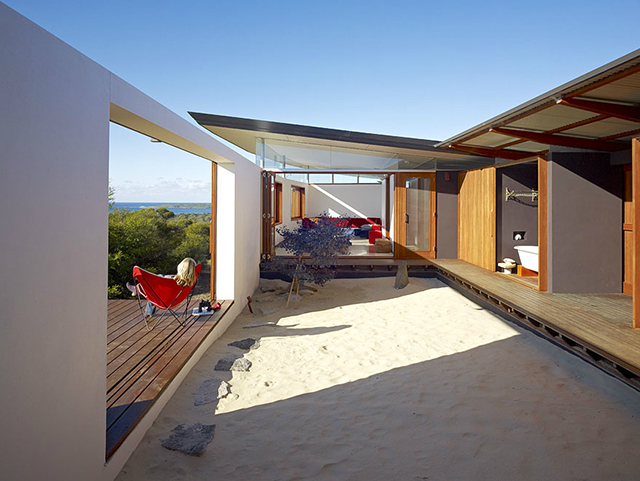 Two bedrooms, a bathroom, and the living room surround the roofless sandbox and can open up to the space with large sliding wood doors.